While any keen players organising a golfing holiday will likely already have a group of friends in mind, the specific make-up of your party can have a big impact on the tone of your trip. There are several things to think about when drawing up your shortlist of players, to ensure everyone has the best possible time together. As you'll inevitably be spending a lot of time together both on and off the course, it's important that all of your travelling companions get along, and know each other well. Choosing a relatively tight-knit cohort avoids leaving anyone feeling left out or uncomfortable with a group of people they aren't familiar with, and players who get on with one another will be more likely to enjoy an extended period of play. It's also a good idea to organise the holiday with a group who are all willing to commit to the organisation and planning of the trip. It isn't fair or realistic to expect one person to handle everything, so a group of friends willing to share the load - from researching where to eat, to booking tee times or sorting out transportation - is the best option. It's also worth thinking about the group dynamic more broadly. Even if everyone in your party gets along well, it's possible that each player will be hoping to get something different out of the trip. Do you all intend to play competitively and seriously, or do you plan to use golf more as a platform to enjoy a holiday with friends? There's no right or wrong, but it's important to make sure that you will all be able to enjoy the holiday equally, and to ensure that everyone's hopes and intentions are 'on par' with one another. One of the other, and possibly most important, things to consider is the basic golfing ability of each member of the group. Whether this is specifically to do with Handicap, or more broadly related to general capabilities on the fairways, if your group are of a similar skill level this can make choosing your courses a lot easier. While not a necessity, if your party is of mixed ability, this will likely create a need for compromise. Once you've organised who will be coming along, the next step is to decide where you intend to travel. There are a number of things that you'll need to consider, and depending on your plans, some destinations will almost certainly suit better than others. The key to this aspect of planning is research. It can be tempting to settle on a destination based purely on reputation alone, but it's important to take some time and find out as much as possible about your shortlist of locations. If you're intending on playing as many courses as you can, then you'll need to pick an area replete with a variety of clubs and resorts. 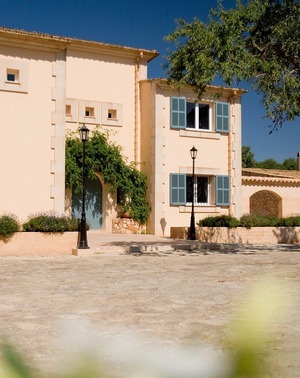 Destinations including The Algarve in Portugal, Mallorca, Sotogrande in Spain, Scottsdale in Arizona, and Provence in France are all great choices for those who wish to experience as much variety as possible on the course. The time of year you're planning to travel will also have a big impact on your experience. While it might be tempting to visit Scottsdale at the height of summer for instance, the soaring temperatures will make play almost unbearable, making this top US destination more suitable during Spring or Autumn. In contrast, many European courses really come into their own during the warmer months. Wherever you're considering, you'll need to look into local climates and likely weather patterns. This is particularly important if you're planning your holiday well in advance (which is highly advised), as detailed forecasts won't have been drafted for the days you plan to visit, and you'll need to rely on historical data. You'll also need to dedicate some time to choosing which courses you intend to play. Whether you decide on your destination first and then look into local resorts, or use the courses as the deciding in factor in where you agree to travel, this is arguably the most enjoyable - and crucial - stage of planning. While embarking to some of the world's most iconic golfing destinations will seem appealing regardless of the destination, you'll need to ensure your group will find the actual golf courses themselves enjoyable. If the links are too challenging, it's unlikely that anyone will have much fun. Equally, if you find that the only resorts in proximity to where you're staying don't offer any challenge at all, things could risk becoming tedious. Once you've settled on a few potential destinations, draw up a shortlist of all of the courses in the area, visit their websites, and do a bit of research in a variety of golfing publications, both in print and online. Almost all resorts offer detailed insights and a hole-by-hole breakdown of their courses, and you can use these as a benchmark for their suitability. Some resorts and courses, particularly challenging championship greens, impose restrictions related to Handicap too. As such, it's important to confirm each player's index (if indeed they have one) prior to booking. It's worth thinking about the balance between quantity and quality, too. It might be tempting to visit as many courses as possible, but taking the time to research which courses offer the most interesting and appealing terrain, setting, and challenge can save you wasted time on a course that doesn't tick the right boxes for you. The final thing to think about is travel to and from your accommodation. How long it takes you to actually get to each course will have an impact on the tee times you can book; depending on how much you intend to play, it might even make some resorts unviable to you during your stay. In other words, treat this entire stage of planning with a process of elimination. Start with a long list of potential courses, and narrow them down until you've settled on the perfect itinerary. The majority of golfing holidays involve an amount of time spent on the fairways that most players wouldn't normally experience. If this is your first dedicated golfing trip, the sheer amount of time you'll be playing will take a particular amount of time to adjust to. As a result, a nice way to ensure the level of enjoyment never dips among your group is to plan in a variety of game types. This is by no means an essential part of planning, but when it comes to the preparation of the actual games themselves, it can be nice to spice things up a little with some unusual rules or styles of play. You could introduce something as simple as an overarching tournament to the holiday itself. You don't need to make every game you play a part of this, but perhaps score 3 or 4 rounds cumulatively, and record players' scores to see who comes out on top. You could even bring along a trophy (which can be something as humble as a cap or wooden spoon) to be awarded to the victorious player. This will provide a lovely incentive to repeat the trip in the future, and give other group members a chance to try and claim the 'crown'. Other ways to keep things interesting are to intersperse a few 9-hole courses throughout your stay, or apply some unusual rules to the odd hole or round (such as adding the option of playing one tee back in order to play the next forward) to make things a little less serious, and potentially more entertaining. While the focus of a golfing holiday might be the games themselves, part of the beauty of setting aside a couple of weeks to travel somewhere new or exciting is that you open the doors to a unique travel experience, both on and off the course. Indeed, one of the most important aspects of planning a golfing trip is deciding what to do with your time once you've sheathed your clubs and taken off the gloves. This is an entirely subjective element to your trip - everyone likes to spend their time on holiday differently - but there are a few things that are worth considering. Thinking about where you plan to eat and drink in the evenings (and for lunch, although this may tend towards the resorts you choose to visit), as well as any other experiences you wish to indulge in, will help turn your trip into a real holiday. There's a good chance that after several days spent playing golf, you and your group might appreciate a bit of time to relax. Pace yourselves, and make sure to set aside at least a day (or the odd afternoon) to unwind. You could visit a luxury spa or wellness retreat, or simply take a bit of time and explore the local sights, history and culture. This point is tantamount to ensuring every aspect of your trip runs smoothly. 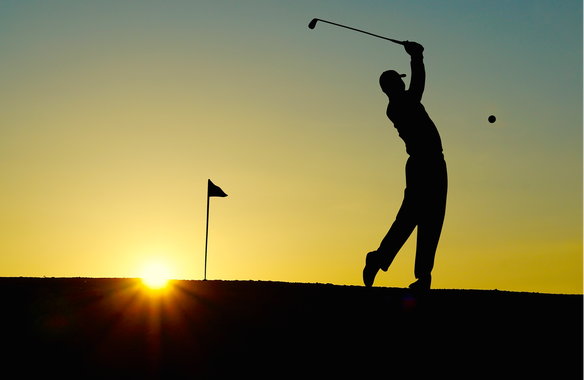 Organising a golfing holiday involves a lot of moving parts, and many of these are interconnected - so it's really important to start organising everything with plenty of time to spare. This is particularly true when organising a group holiday, where plans often can and will need to change. Ensuring everyone is available and able to commit - and arranging everything from tee times to flights - will mean that the earlier you can get planning, the more leeway you'll have if arrangements need to be altered throughout the process. It's a small point, but with so many different things to factor in to a golfing holiday, it's important that every member of your party is not only aware of each stage of planning, but is given the chance to offer insight and input. This ensures that people are both aware of the whole plan and that all decisions are made diplomatically, taking everyone's feelings and preferences into consideration. While it's a good idea to delegate different tasks to different members of the party, big decisions should be floated to the whole group first. Where possible, arrange to meet with the entire cohort, ensuring that you all make the important decisions together. While some of your companions may say that they're happy for the others to make the final call, try to ensure everyone is at least given the chance to offer their thoughts on each decision. It doesn't take a lot of time or effort to give everyone that courtesy, and doing so can ensure that no one ends up disappointed with any aspect of the trip. With so many different things to book, often with a wide variety of different organisations, it can be tempting to leave tee time booking until last. It often can seem like the more expensive and urgent elements (such as your accommodation and flights) should be given priority, but it's important not to assume green times are a certainty. The earlier you book ahead with each course and resort, the more choice you'll have over when and where you want to tee off. A good approach is to book everything at the same time - saving you the trouble of calling any resorts relatively late in the process, only to discover the times you'd hoped for aren't available. This will depend largely on the dynamic of your ensemble, but the term 'golfing holiday' means different things to different players. While some younger, more athletic golfers might be keen for 18 or even 36 holes every single day, older travellers (or those who want to enjoy more than just the golf) may prefer to pace things a little more. Have a discussion among your group members about the minimum amount of time they expect to spend on the fairways, as well as what they would deem to be overkill, and try to strike a balance that suits everyone. This might involve a bit of compromise, but it's important if you want to maximise everyone's enjoyment. It's also important to consider whether you'd like to play the same course more than once; and if so, how this should be handled. It might make things easier, for example, to play the same course twice on the same day (as this will make travel simpler). If this is likely to make things seem dull or repetitive, it might be better to return another day. With this in mind, your golf holiday planning should factor in how to transport your equipment. This could include everything from clothes to balls and tees - at least if you prefer to use your own, and want to avoid having to purchase new ones upon arrival. Transporting clubs and other golfing paraphernalia on a plane can be expensive, and might also require additional insurance against damage or loss. The perk of having your own clubs on hand from the moment you land is substantial, though, and might be appealing enough to make this viable. The alternative to renting or checking in your own clubs is to employ the services of a specialist golf equipment transporting company. There are plenty of organisations to choose from who will collect all of your equipment, and deliver it to you upon arrival. Be sure to do your research, and find one that fits you and your specific needs. Preparation before you embark is of critical importance to a positive travel experience. 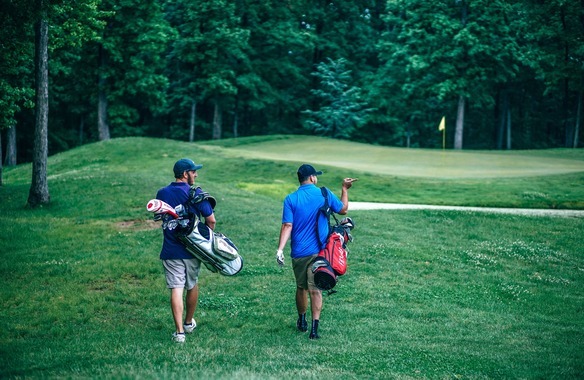 When it comes to golf, though, the experience can be endlessly enhanced by bringing along some supporting information with you for when you arrive and tee off. This can range from play guides to booklets and information on the local area, and on the courses you plan to enjoy. Discovering a fascinating tidbit of information about a particular hole before you play it, or about the history of a certain course, can transform the golfing experience and elevate the entire holiday. This doesn't just apply to golfing holidays, but to any travel experience. No matter how much time you spend trying to ensure every eventuality is covered, often things will crop up that you simply couldn't have predicted. This isn't (always) a bad thing: the things we don't see coming can lead to the best experiences, and the most lasting memories. The important thing is to make sure you plan in some flexibility when arranging your golf holiday. Don't try to book in every last minute of every day; give yourself a little bit of leeway both before and after every game, and everything else you plan to do. Once you've landed, settled into your accommodation, and thrown on your golf glove for your first game, you'll need to figure out how you're going to get to and from each course. If you're planning to visit a variety of resorts during the course of your golf holiday, then this can become a slightly complicated process, and one that bears thinking about long before you set foot on the plane. If you're booked tee times at courses throughout the region you're visiting, then the best option may be to rent a vehicle during your stay. It can be tempting, particularly if it's possible to drive from home to your accommodation, to simply bring your own car. This can sometimes be a viable option, but bear in mind that you'll likely have a group of several people, along with potentially the same number of golf bags and sets of clubs. In other words, you'll need to ensure you have enough space to transport everything safely and comfortably, something your car might not accommodate. As such, it can be a good idea to hire a minivan or people carrier to be collected once you arrive, as this can save a lot of hassle. If you decide to rent clubs, then it likely won't matter as much, but however you decide to make the journey between your accommodation, make sure to factor in space! This isn't exactly a vital point in your planning, but it's definitely worth thinking about. Golf has over 200 official rules, and while some of these are infamously bizarre, the vast majority are integral to the flow of play. Every once in a while, disputes can and will crop up. As such, it's a very good idea to delegate at least one member of the group to be responsible for bringing a copy of the rules. This is a practice that all golfers should employ, whether they're embarking upon a golfing holiday or simply enjoying a round at their local course. 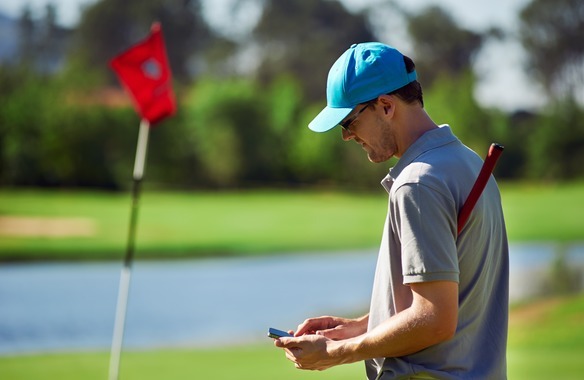 With both printed and digital versions of the rules (via apps such as R&A Rules of Golf), making sure you've got something to fall back on in case an issue crops up can save a ruined afternoon in your otherwise perfect golfing trip.